Home / info / ssccgl2017 / tips / How to Crack SSC CGL Tier -I 2017 without Coaching? How to Crack SSC CGL Tier -I 2017 without Coaching? 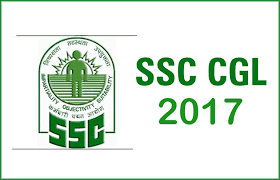 SSC every year announces CGL (combined graduate level) exam to fill various seats in government departments. Every year students prepare for SSC CGL exam without coaching or self study. From every corner of the country several students fill the form for the relevant posts. Now the Question arises: How to Get Started SSC CGL Preparation? First thing that aspirants have to do is to go thoroughly through the examination syllabus. It will give you a wise perception of the paper that you are appearing for and to decide study plan for the exam. Because only after knowing the entire syllabus, you will look for SSC CGL book or study material for SSC CGL. Now SSC will conduct both Tier -I and Tier II exam in online mode. Introduce a descriptive paper of 100 marks within 60 minutes in pen and paper mode. Reduce the time limit for examination of Tier -I from 120 minutes to 75 minutes. Tier II will remain same. Make study plan for SSC CGL 2017 After getting all the details about the Exam, you should analyze the topics in which you are strong or weak. The topics in which you are weak, needs more attention and time for preparation. We will help you with section wise preparation strategy and study plan with important points and topics, to make your preparations easy. Reasoning is generally a scoring subject as it takes only thinking ability of a candidate. If the candidate is able to apply it, he can easily score well in this section. Unlike numerical skill in reasoning section you don’t have to learn some formula and solve question by applying that formula. You just have to be very careful while answering these questions. This section tests the judgment and other skills related to presence of mind and analytical ability of a candidate. The most important topics to look out for from this section are: Analogy, Classification, Series problems, Ranking, Sitting Arrangements, Syllogism, Coding-Decoding, Statement and Conclusions, Directions, Blood Relations, Data sufficiency, Assumptions and Direction Sense Test. Questions from paper cutting and folding and mirror images are also asked. No exact formulas are there to solve the questions; all you need to do is, solve them with patience with logical thinking. 2. Simply use your common sense to solve the puzzles. 3. Make your own formulas to solve questions. 4. While answering the questions related to statement and assumptions, try to solve them imagining yourself as a mature person. You can also take the help of these books because these books can change your way of thinking. If you follow above tips and strategies, you will surely be able to score well in Reasoning Section of SSC CGL 2017 Exam easily. The English language section is the most scoring section in your paper. This section is not only important but also very difficult for aspirants to crack. But from an exam point of view, if you spend time consistently, you can perform well in it in relatively less time as compared to Quantitative Aptitude and Reasoning sections. 1. You should work on improving your Grammar Part, as the paper is all based on English Grammar. 2. You should practice reading a lot. 3. Make reading your Daily habit. 4. Read newspapers, magazines, good articles on daily basis. 5. Apart from reading, you have to solve mock test papers. General Awareness for SSC CGL 2016 is the most important section in the SSC CGL Exam. The SSC CGL GK section is also very lengthy in which if you prepare well, will result in good score consuming lesser time. You may get confusing options to select the correct answers. You have to answer confidently. Make sure you answer only when you are 100% sure, as chances of negative marking is more in this section. Follow the tips given below to prepare GK for SSC CGL. 1. Make it a habit to know what is happening in the world around you. 2. Solve previous year papers. 3. Stay updated with the daily news events and current affairs. Note: This section acquires more importance because this is the only section which can be attempted quickly i.e. in 12-15 minutes and at the same time, decent marks can be scored in this section if prepared well. The questions in this section are designed to test the ability of appropriate use of numbers and number sense of the candidates. The scope of quantitative ability is clearly defined and is limited to class 10th level mathematics. All you need to do is attempt the questions with good accuracy. The level of this section is expected to be of moderate. The section consists of questions from topics like ratio and proportion, profit and loss, time, distance and work, average, alligation, elementary mensuration, algebra, trigonometry, geometry etc. 1. You should practice all variety of questions. 2. Learn more tables. It will help you in solving questions with a good speed. 3. While preparing, use short tricks to solve the questions. Let’s look at some of these best aptitude books. Time Management of your study plan is very important. Time management strategy is also required in taking exams and which section should be given how much time slot. These things are important to prepare for the exams and crack it with better score. You will find aspirants saying that they could not complete the test on time or wasted more time on one section and could not attempt the other. Hence, i find it the important part to figure out which sections are important and scoring. Study daily at least 6-8 hours, if starting from the scratch and not doing any other work. If working, devote 2-3 hours daily with half an hour on each section. Make a Study plan that will finish your syllabus. Figure out your weak and strong sections or topics and work on that. Figure out which sections require how much time slot in the exam from the total time of 120 minutes. All questions in the exam is not possible to attempt. Hence, need to know how much questions you are doing in 120 minutes of each sections and not wasting time on one section and leaving the other. Write down the important things that you need to revise, once you are done. Write important short tricks and formulas. Write the important events you should remember. Now as we are over with the discussion over the section wise preparation and book reference, please keep one thing in mind that we have suggested you important topics according to previous year exam papers and the experience of students who have cracked the exams.